Perfectly match canvas and cameras to make video stories come alive. 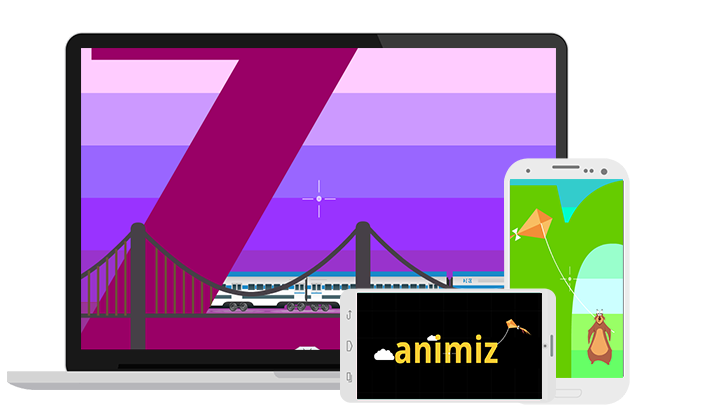 Animiz animation editing software magically transforms your ideas and contents into exciting video stories easily. With an infinite canvas, you will make stories developed non-linearly but engagingly. Arranging several cameras, some are rotating while others zooming will help create visual impact for delivering stories. What is more, this tool enables you to design screen as 16:9, 4:3 or customized one to publish videos, spreading stories and reaching widely. 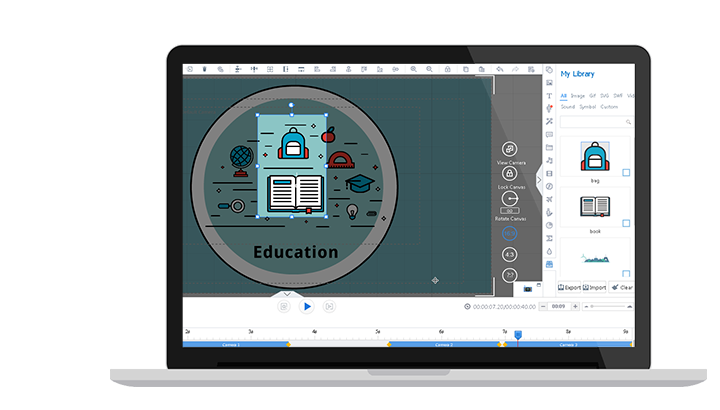 A completely customized experience to tell ideas loud with this free software. Firstly, multi-track timeline ensures you to customize background, camera, captions, animations and recordings in videos. You will turn them into your style to share information. Secondly, everything is under your control because you can edit their size, decoration effect, shape, opacity, rotation, align and layer. Thirdly, there provides powerful image editor for you to adjust pictures with perfect appearances. And last but not least, formula editor is available for your educational presentation uses. You are sure to make your video animations as outstanding artworks online. As you may have plenty of design materials when editing animated videos, then after you adding practical and multifunctional elements in videos, you can also save them into My Library for future uses. Click the right mouse button then you can add design elements into My Library. Remember to add a title and descriptive information for your element, which is beneficial for your next employment. Clear classification like image, gif, svg, swf, video, sound, symbol and custom will let you perfectly manage your design materials. Published video animations will work smoothly on any device, from laptop to tablets, smartphone to mobiles. You will make your stories/ideas vividly presented anywhere and anytime, reaching worldwide people quickly. But firstly, you are required to customize the video size, frame rate and voice rate to meet your needs, then in minutes you can have animated videos to share. Cross-device animated videos can be a powerful way to deliver contents, building up great reader loyalty. 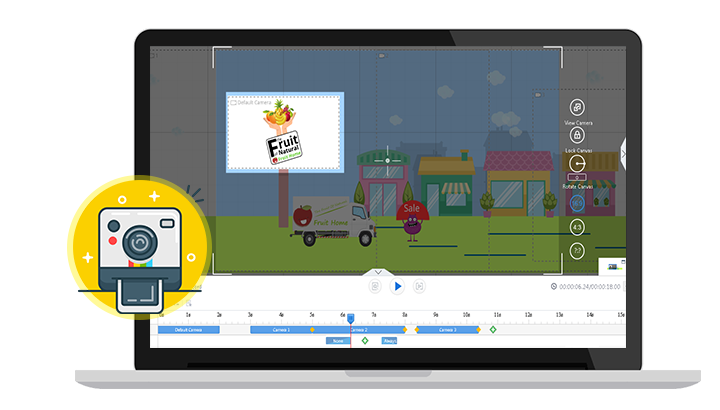 Get started with new empty project to fully customize great animated videos by your own. Perfectly match infinite canvas and cameras to make videos compelling. Amazing zooming enjoyment. 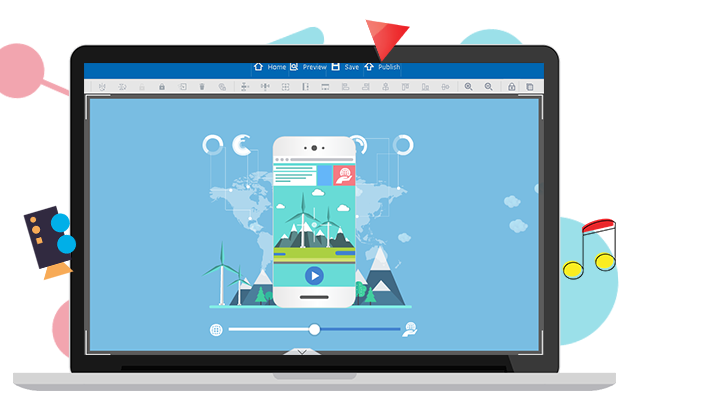 Multi-track timeline ensures you to edit background, camera, captions, animations and recordings. My Library is powerful for managing design materials, giving convenience to your next design. Publish videos to work smoothly on any device, from laptops to tablets, smartphones to mobiles.